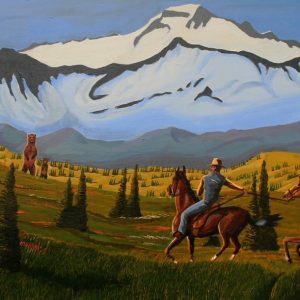 Horse painting. 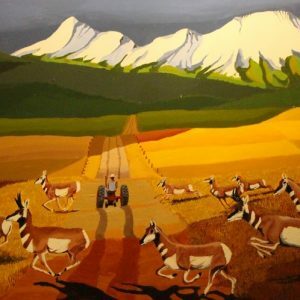 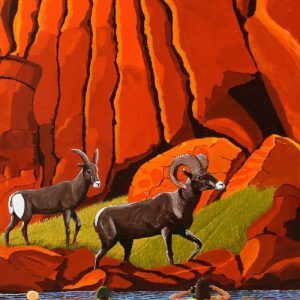 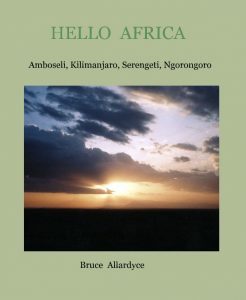 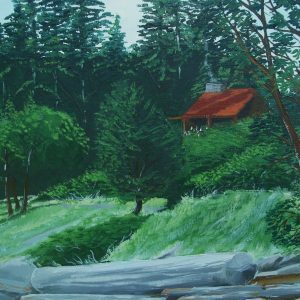 See other American wildlife and landscape paintings here. 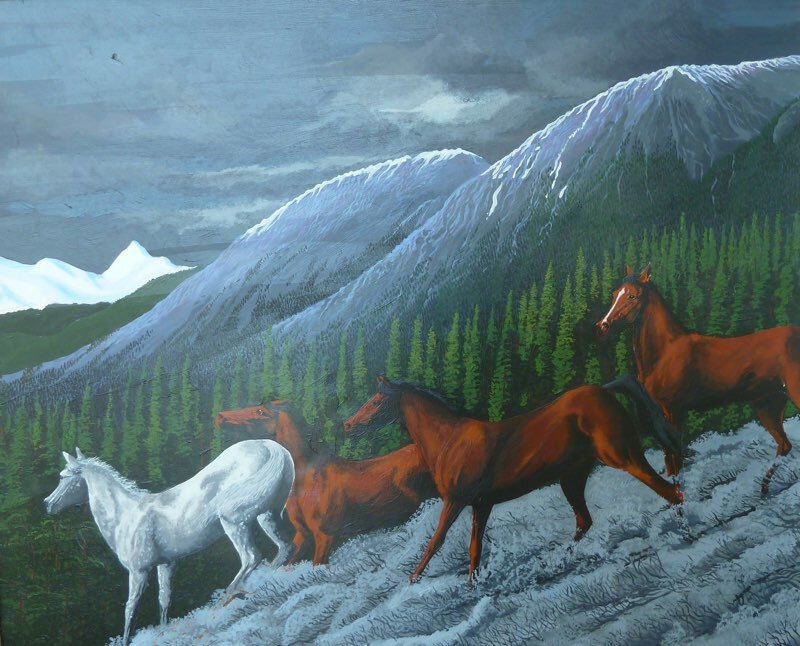 Horse painting of wild horses going down the side of a mountain.